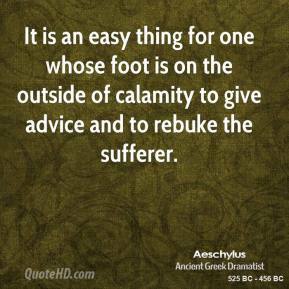 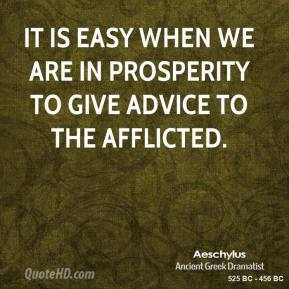 It is an easy thing for one whose foot is on the outside of calamity to give advice and to rebuke the sufferer. 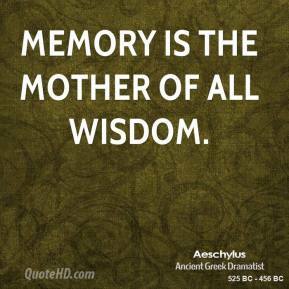 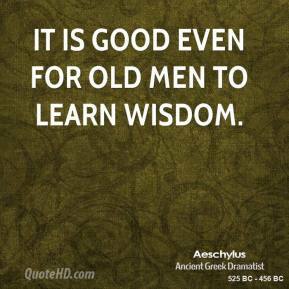 It is good even for old men to learn wisdom. 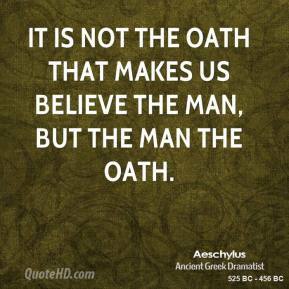 It is not the oath that makes us believe the man, but the man the oath. 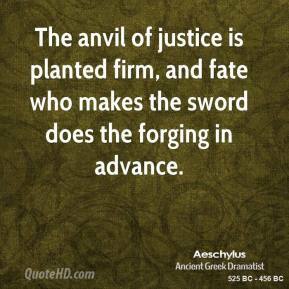 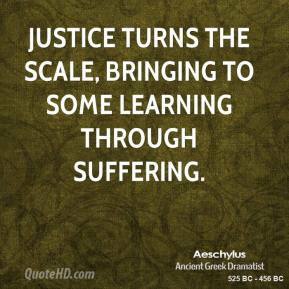 Justice turns the scale, bringing to some learning through suffering. 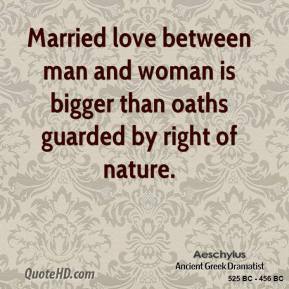 Married love between man and woman is bigger than oaths guarded by right of nature. 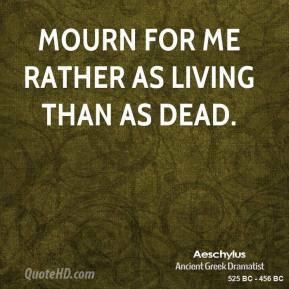 Mourn for me rather as living than as dead. 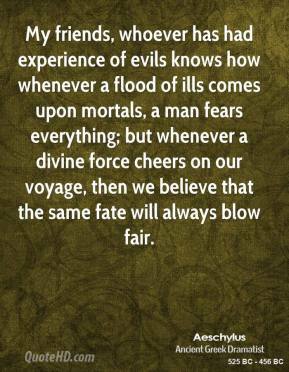 My friends, whoever has had experience of evils knows how whenever a flood of ills comes upon mortals, a man fears everything; but whenever a divine force cheers on our voyage, then we believe that the same fate will always blow fair. 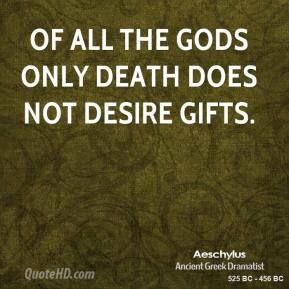 Of all the gods only death does not desire gifts. 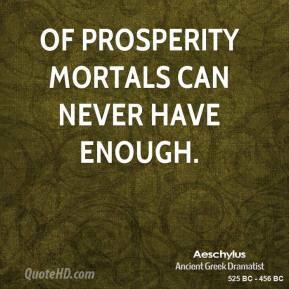 Of prosperity mortals can never have enough. 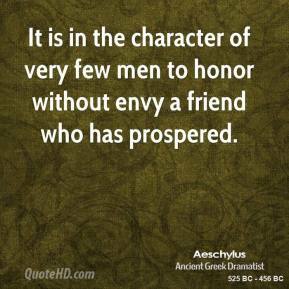 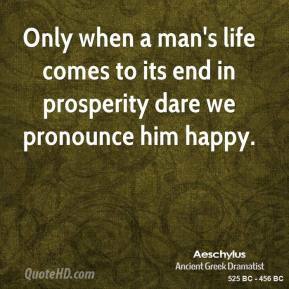 Only when a man's life comes to its end in prosperity dare we pronounce him happy. 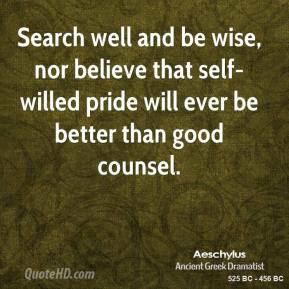 Search well and be wise, nor believe that self-willed pride will ever be better than good counsel. 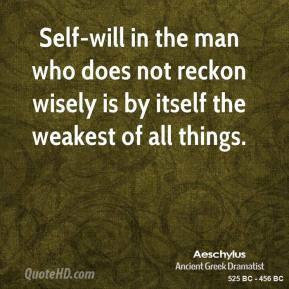 Self-will in the man who does not reckon wisely is by itself the weakest of all things. 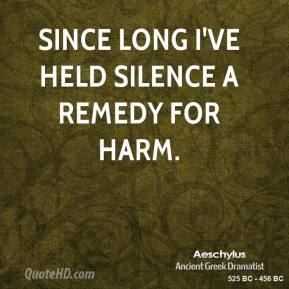 Since long I've held silence a remedy for harm. 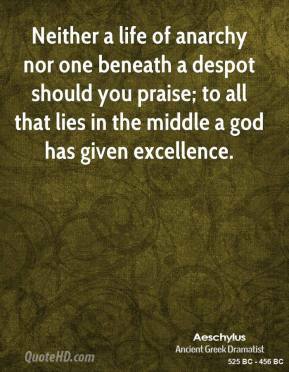 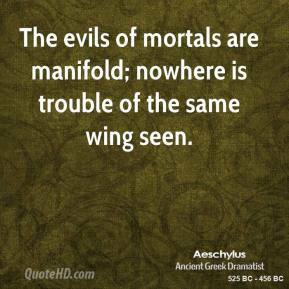 The evils of mortals are manifold; nowhere is trouble of the same wing seen. 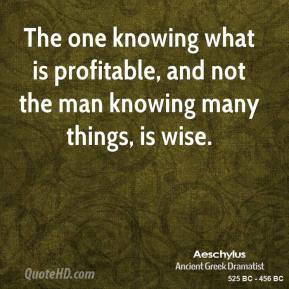 The one knowing what is profitable, and not the man knowing many things, is wise. 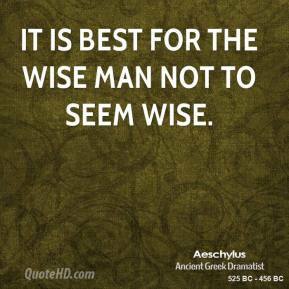 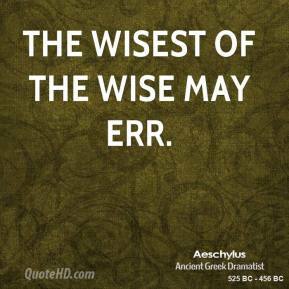 The wisest of the wise may err. 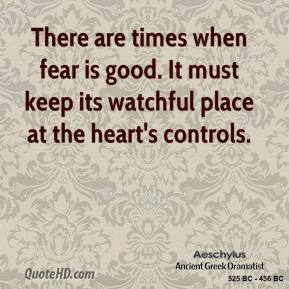 There are times when fear is good. 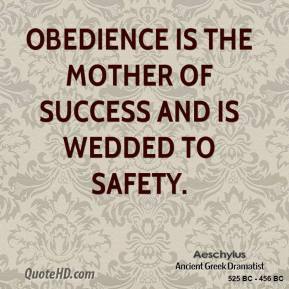 It must keep its watchful place at the heart's controls. 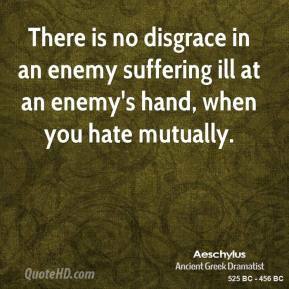 There is no disgrace in an enemy suffering ill at an enemy's hand, when you hate mutually.